Hi. I needed to trim the Face Holders to allow the Ear Sides to sit on correctly. Has anyone done a mod of these to make more room, or is there a good way to edit the stls for these? I had some not so nice joins between parts after a glue failure, so I hid the ugliness with some nice red paint. I worked my way up the grits to 400 grit, hand sanding. Then used some high gloss enamel paint. The result were quite reasonable. 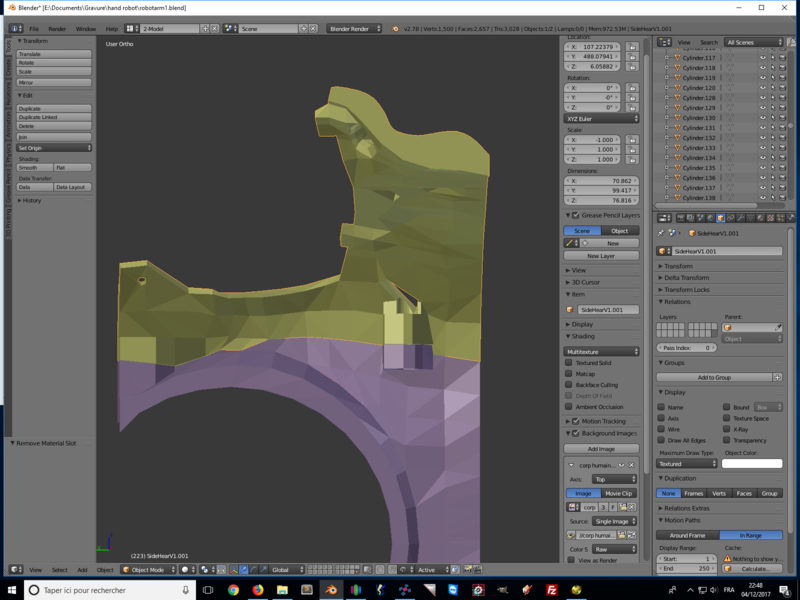 Hi I want to print a basic support for the head and neck but rather than print a platform I would rather print the shoulder section. I am having trouble identifying the parts to print. 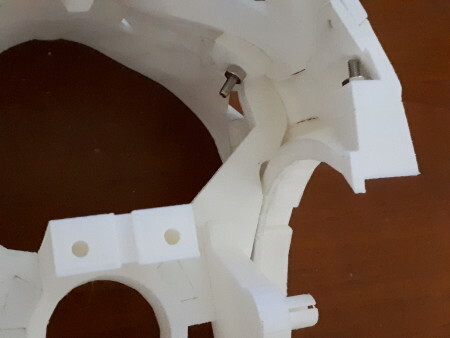 Could anyone one define which parts will make the basic shoulder section, pictured here. 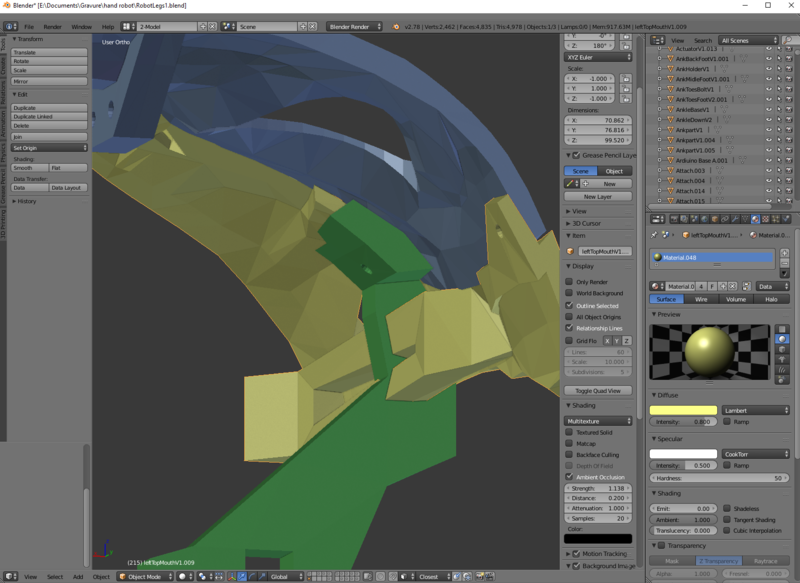 Check out this tutorial, http://inmoov.fr/neck-and-jaw/. There’s a comment about it towards the end. I used a HS-805 BB – works great. PS- Whats that software ? Hi I am obviously having trouble negotiating around the site. I can find printing the parts but I am having trouble finding tutorials or step by steps on building the parts. 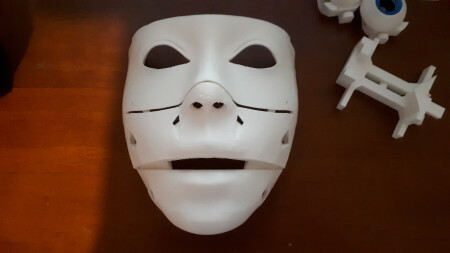 I want to get the black screws to connect the eye piece to the upper mouth. What type of screws do I need and where would there be a step by step guide to construction be? Hi Could you send me a link to the post you referenced. I assume considering I just did a 6 hour print on the top mouth there should be some way of still using it? I thought I did read somewhere once that alot of the parts for the inmoov shouldn\’t need support material. I will have to give a go and see how it turns out. How far have you got? I am about to start on this big project and I want to start with the head down like alot of the builds here. I want to print the eye section first. 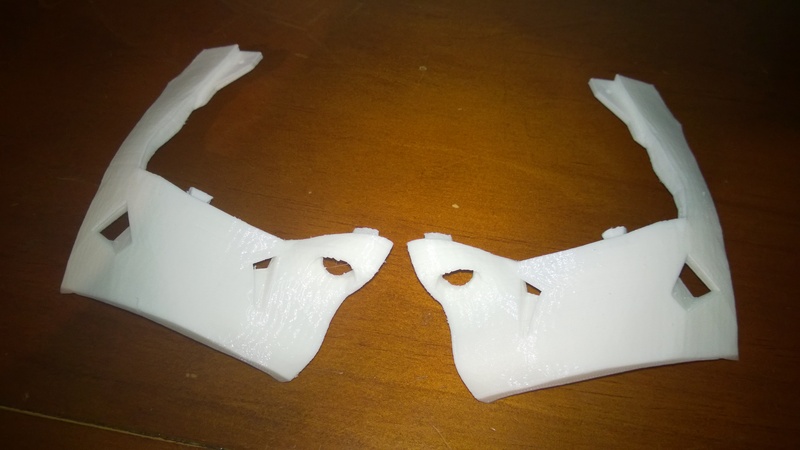 As I am new to 3d printing, would I need to use support material for the eye piece? If someone can direct me on what you did I can get started and post my progress. 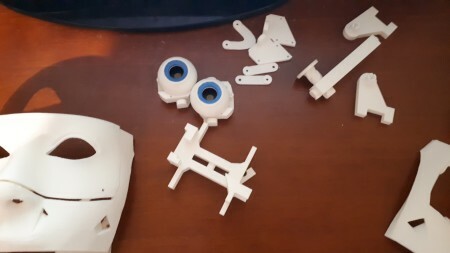 I thought I did read somewhere once that alot of the parts for the inmoov shouldn’t need support material. I will have to give a go and see how it turns out. How far have you got?